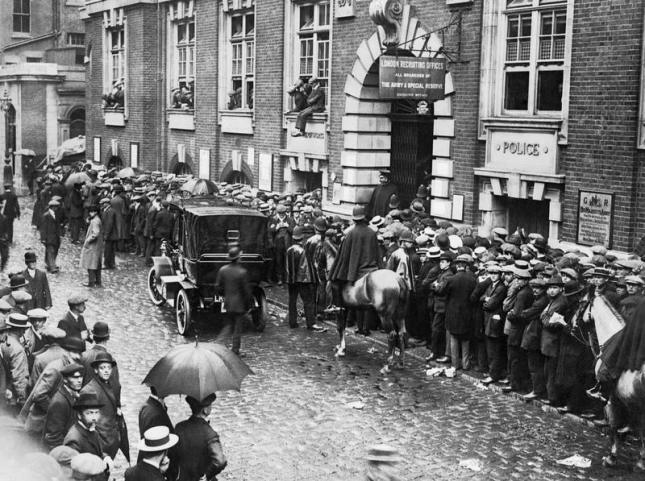 It is estimated that around 900,000 men from London fought in the Great War, approximately 300,000 of who were killed or injured. 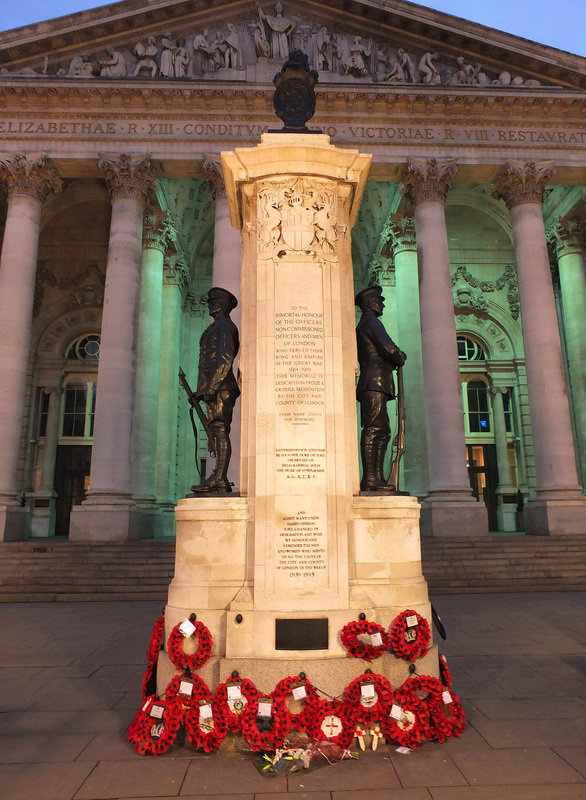 Standing outside the Royal Exchange in the heart of the financial district, the ‘London Memorial’ lists all of the regiments from the capital involved in the horrendous conflict and commemorates the countless Londoners who lost their lives. 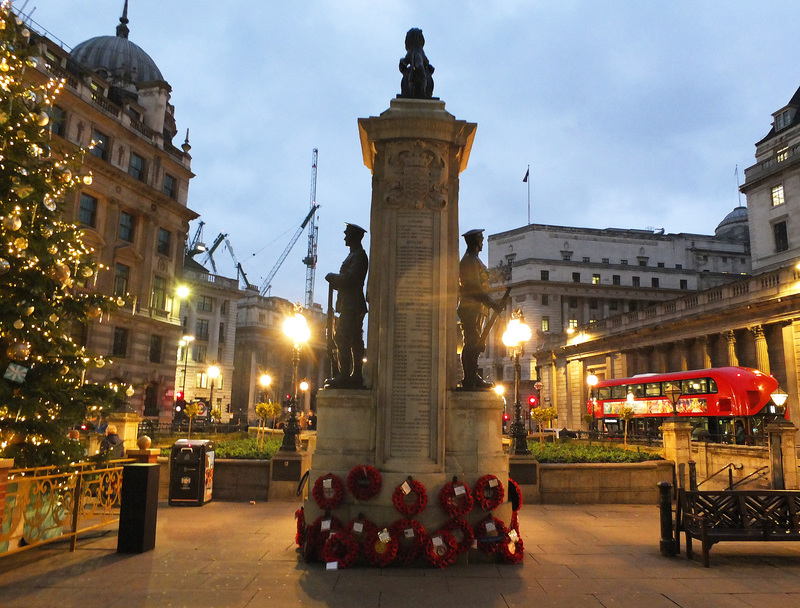 The memorial’s Portland stone plinth was designed by the then President of the Royal Academy, Sir Aston Webb (who was also responsible for Admiralty Arch and the Queen Victoria Memorial outside Buckingham Palace), whilst the two figures standing either side were created by Alfred Drury. 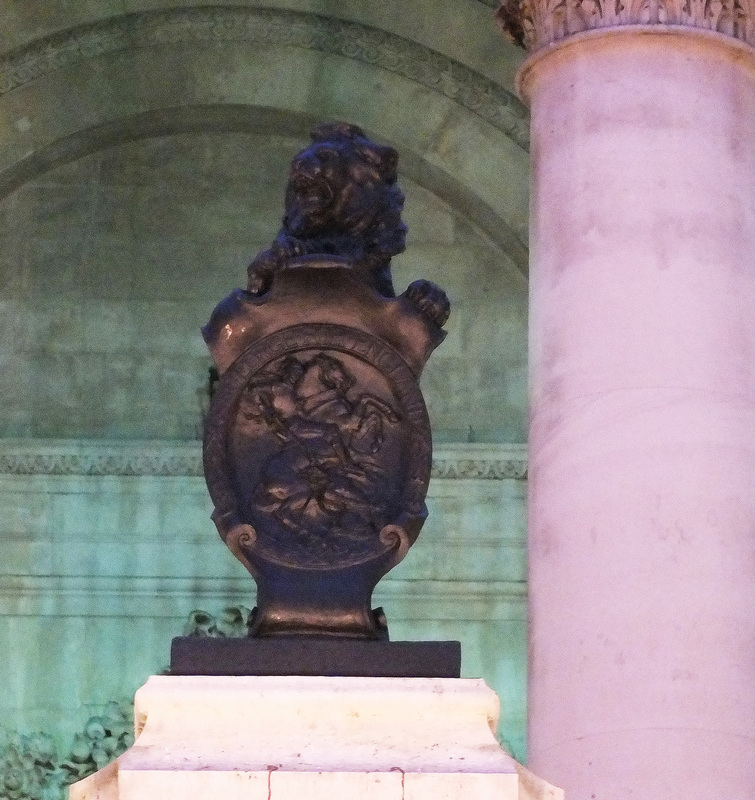 The memorial is topped with a small lion, bearing a shield adorned with St George and the Dragon. 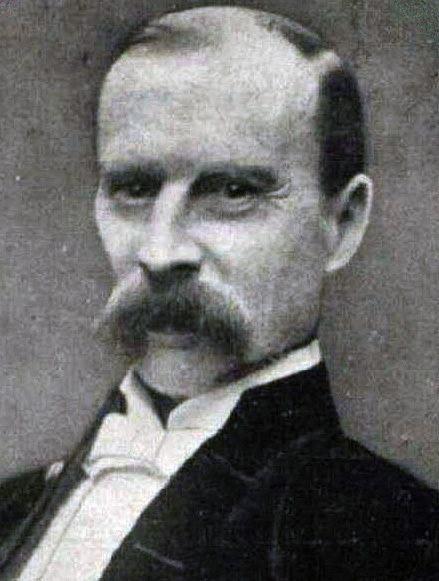 The memorial is Sir Aston Webb’s second design– his first idea was quite different, consisting of two 75 ft. tall flag poles at the base of which would have been statues of Victory and Peace. Costing £7,000 (around £150,000 in today’s money), the monument was funded by public donations. 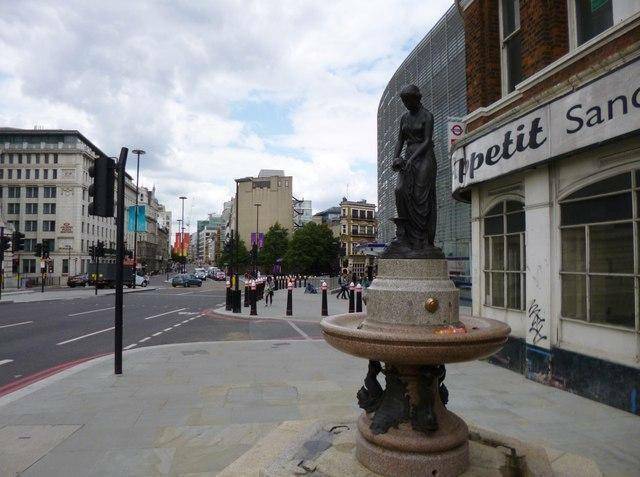 In order to make room for the memorial, a fountain topped by a statue of Temperance- which had been on the site since 1861 after being presented by the philanthropist, Samuel Gurney, required removal. It was relocated and can be seen today at the northern end of Blackfriars Bridge. 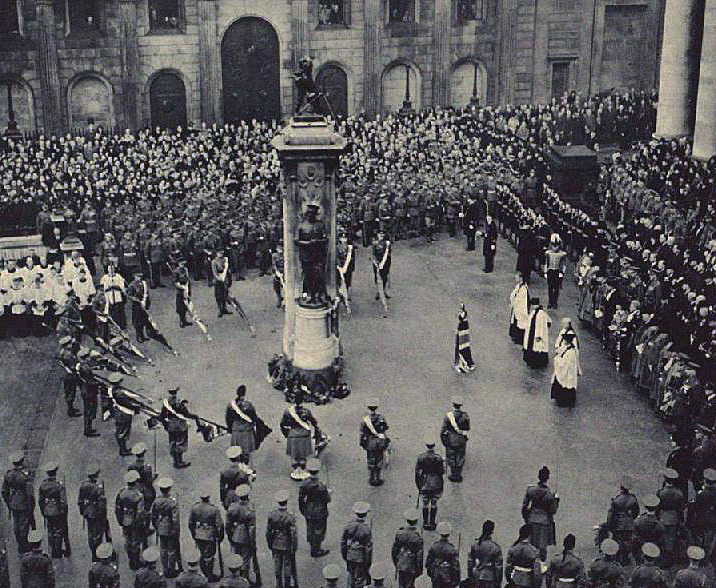 The London Troops Memorial was unveiled in foggy conditions on the afternoon of the 12th November 1920 by the Duke of York who was accompanied by the Lord Mayor and the Bishop of London. 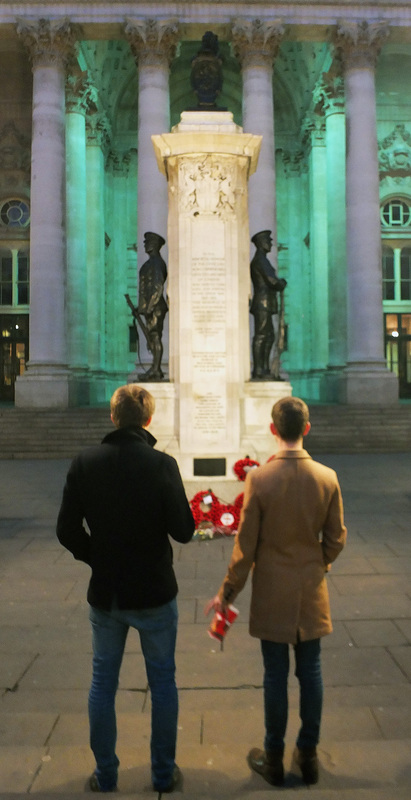 Some nice atmospheric photos to accompany a fitting tribute to this memorial. I’ve driven past this monument, a thousand times, never really noticing or taking in what it is, I shall endeavour to pay my respects. Thank you for bringing it to my attention. Mike Tinnion. Former Coldstream Guard. You’re most welcome, Mike. Thanks for the kind words, mate. Great memorial in the City! This memorial is nearly always on my route when I do walks in the City. 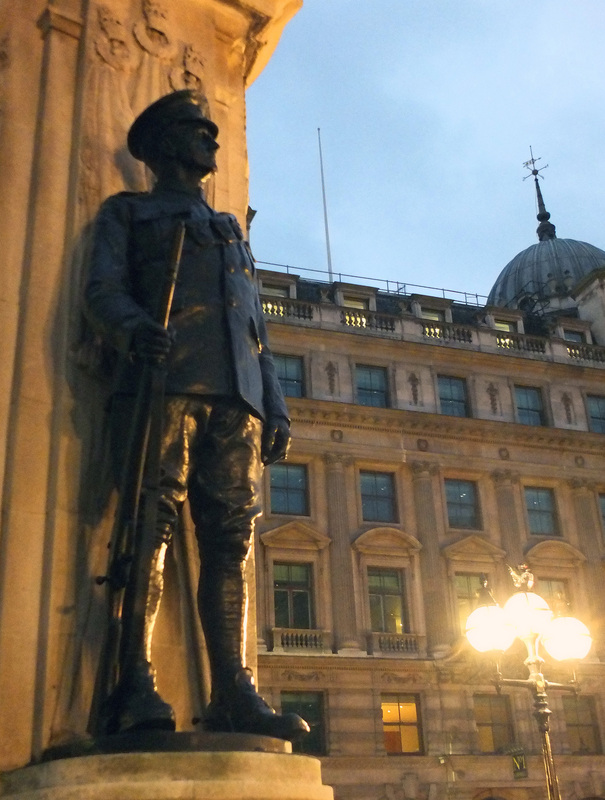 Very appropriately located in the heart of the City and in front of Royal Exchange. Commemorating all those who never returned from the War.